the presence of POS in each car. “young” cars not older than 4 years, or perfectly efficient that are inspected every 6 months. many more attentions and precautions that will certainly be welcomed by the users of the service. But how much more does it cost? The new service does not require any additional costs for the client. What are the advantages of using 3570 Gold? 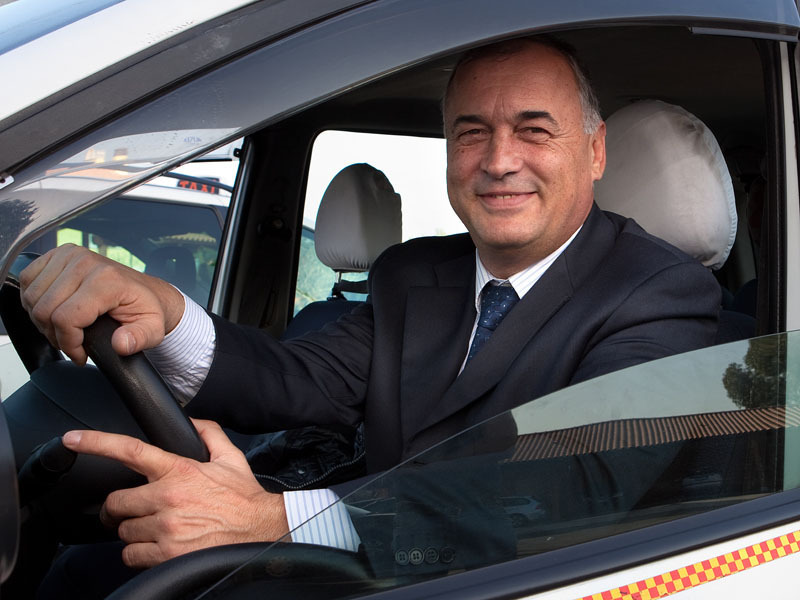 finding a suitably dressed driver and identification badge on the dashboard, whose main objectives will be ensuring courtesy and politeness, as the drivers that take part in Gold have attended a real training course to learn the new services and codes of behavior that can satisfy the client. and the cars? They will have to be in a state of perfect maintenance, have air conditioning and a large trunk. the drivers have attended an English course held at our premises in cooperation with the "LONDON-BUS ENGLISH SCHOOL", to be able to "understand" even the needs of foreign clients. the driver must always have enough spare change, a functioning pos for credit and debit card payments, refrain from smoking, open the trunk and load the client's baggage when applicable, the taxi must be clean, it must be timely with no more than a 5 minutes delay. But what should I do to get a Gold taxi? Just call the 3570 switchboard dialing 06.3570 and simply request a "3570 Gold"! or insert the caption Gold in case you are using digital request systems such as SMS, TAXI CLICK, RADIOTAXI3570 APP or company MODEM.